Participants are invited to read their favorite poems, plus any they may have written themselves. Everything from Walt Whitman to Robert Frost to Mary Oliver and anything else. If you’re not into reading poetry, you’re welcome to just come and listen. Most of the hour will be the same format as a regular service. This service could easily be a follow-up to Brian’s previous week’s theme. The first 15 minutes will follow the regular routine. The last 45 minutes or so will include a brief introduction and then the silent meditation itself, followed by optional sharing. Even if meditation is new to you, you will find this process easy, enjoyable, and perhaps revealing. This service will explore various encounters Amy has had with animals, both wild and domestic; and offer some layman’s speculations about the connections between human and animal consciousness. Note: The first service of the 2015-’16 church year will be held on Sunday, September 13. 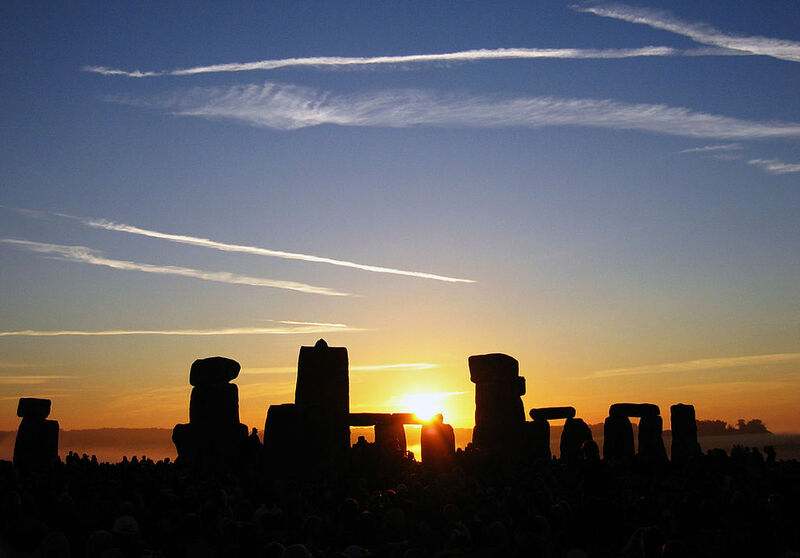 Photo of summer solstice sunrise at Stonehenge via Wikimedia Commons.